For some time, Telekom Germany adopted from its very good and unique ISDN telephone network and analog telephony with it as well. What the customers already know for years with Skype, WhatsApp telephony and also smartphone telephony, should now be implemented in the landline telephony. In IT, we speak of Voice over IP or just VoIP. In contrast to ISDN or analog telephony, the lines and thus also the networks are no longer kept physically separate, but the telephony is digitized. Thus, the language in real time in small data packets, such as image files or text files also, packed and sent over the Internet connection using the TCP / IP protocol family to the other side. This is relatively good today, if there is enough bandwidth, so a powerful DSL connection. Here you do not notice that the language for the transport dismembered and reassembled after transport. Although distributions like Gemeinschaft, FreePBX, Pascom, AsteriskNow have distinguished themselves, they do not present the yellow of the egg. Common to all are the graphical web-based interfaces. This plus over a console solution is also the biggest weakness. One is dependent on the intervention of the developers as soon as one wants to get more out of Asterisk than the respective distribution offers. Next weak point is the dependence on the manufacturer. The most striking example is the company Amooma, 2011 still praised by the BSI for the PBX community in the highest regard, had spent years on Asterisk and changed in 2011 with Community 4 to the competing product Freeswitch, an upgrade of Community 3 (Asterisk) had become so completely impossible. In addition, Amomoa threw the development further down a little later. Thus so far faithful Community3 and later also Community4 customers were literally left in the rain. Although there is still a Githup repository on which a supervisor irregularly tries to adapt the Installscripte to the current Debian versions. An efficient further development of the platforms does not take place any more. Since web-based solutions are usually written in PHP or Ruby with a MySQL database, this requires very good programming experience to adapt several hundred scripts to your own needs and to map the Asterisk functionality into code. Especially in the example community you have to even speak of catastrophically documented PHP scripts, so that ultimately only the original developers know what they had produced there. In addition, there are some distributions that the own SIP phone is not supported, but only the manufacturer himself, and you would have to renew the hardware. Quite apart from the inferior documentation, so that the portal operation is already a gauntlet. These are all good arguments for the use of Asterisk directly from the Linux console and that one deals with the creation of a dialplan itself. Then you can create really great own creations in the telephony, where the offers of the big providers like Telekom look very old and lean. Some of this is shown below. The telephone providers, above all the Telekom, sell now Kombigeräte (speed haven, Zyzkel, Fritz box), which should be able to do everything, but at the customer's functionality provide only very little. And that, although with VoIP much more feasible and possible. Devices such as Speedport, Fritzbox or Zyxel first provide a built-in DSL modem, a functionally very limited firewall and a functionally inferior VoIP server available. For a much better and individually customizable solution I present here a telephone system with Asterisk PBX on a 70 EUR cheap Raspberry Pi 3 computer. As I will present it here, is already a normal IP telephony on the telecom or other providers be feasible. In addition, fax servers can be connected, program waiting patterns, configure time-dependent and call number-dependent answering machines. All the features you can not even get for the big providers. A self-configured dialplan sets the functional possibilities no limits. This makes it possible to design time-controlled and daytime-dependent answering machines or announcements. You can welcome or blacklist certain caller IDs in a personalized way, as well as replace the dial tone with music sequences of your choice. Similarly, the announcements can be deposited with music and provide for Asterisk as a WAV file. Everything else with "Dailplan - extension.conf" respectively "Individual VoiceBox". First, you should buy a DSL modem (for example, Allnet ALL-BM100VDSL2v) that only converts the DSL signal to TCP / IP and forwards it to a router with firewall / NAT. As a router, the Linksys router or other models with firmware OpenWRT have proven. This makes it possible to realize very powerful and individual firewalls using IPTables on LINUX. I will refer to a firewall with OpenWRT and the web interface LUCI. This is also necessary because the devices of the provider usually do not dominate the SIP NAT forwarding to an external server, but this is needed. Another advantage is that this combination with OpenWRT / Linksys frees you from the dangers of vulnerability of mass devices such as Speedport, which in autumn 2016 showed nationwide with massive outage for telecom customers who had Speedport routers in use. Your personal consultation with support! 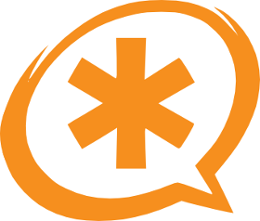 IT-LINUXMAKER supports you in setting up your VoIP with Asterisk and offers comprehensive advice on this topic. Even if you did not find it here, we will help you.